This issues carries interesting news on the Volvo Ocean Race, the America’s Cup defender capsizing in practice, and much more. There is an interesting debate going on in the sailing world about whether men and women should continue to be separated at an Olympic level. The last Clipper Race saw two crew lose their lives. The investigation into these has now been released. So sit back, relax and enjoy this issue of “Talking Sailing”. In this issue we “Talk About” . . .
• For the Yachtie Who Has Everything – Except This! 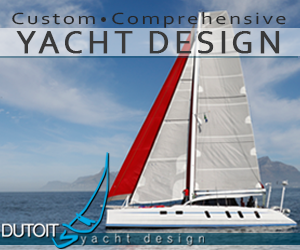 • Should Sailboat Racing be Segregated? For the Yachtie Who Has Everything – Except This! $45,000 Watch Holds World’s Oldest Whiskey. The luxury watch world has a habit of pushing the boundaries of originality, but this latest creation catches the eye more than most. A Polish company named Wealth Solutions, which deals in ultra-luxurious collectibles, has designed a stunning line of watches each housing droplets of rare and highly sought after alcoholic drinks. Aptly called the ‘Spirit Watches’, the line was created in collaboration with independent Swiss watchmakers and attempts to fuse the worlds of rare spirits and collectible timepieces. Among them is one particular watch, created in partnership with Swiss watchmaker Louis Moine, which contains a single droplet from the world’s oldest whiskey, Old Vatted Glenlivet 1862. The whiskey was opened in a recent ceremony at the H15 Boutique Hotel in Warsaw, Poland, before one droplet was ceremonially passed into the watch. Only 50 of the watches in this line will be made, with 40 available in a steel case and 10 pieces in a gold case. The version featuring Old Vatted Glenlivet 1862 can be purchased for $45,000. I am always one to advocate change in our sport where it is needed, so was interested to see that the Finn Class is testing a new racing format in response to discussions that the winner of events should be decided on the final race, or even first across the line. The format that will be used in its first test in Palma is one of several on the table and will allow the class and World Sailing to better understand the consequences and processes of introducing such a system. The format, used in a recent Palma regatta, will enable all sailors to sail a minimum of five days, while keeping the last day for the Final. • Round 1 – Opening Series: A series of nine fleet races will be held from Monday to Thursday in one group. The top two boats in the series will proceed directly to the Final while the next three boats will proceed to Round 3 – The Semi-Final. • Round 2 – Semi-Final-Qualifier: The rest of the fleet (i.e. everyone except the top 5) will sail the Semi-Final-Qualifier on Friday, for a second and final chance to qualify for the Semi-Final. The top five boats after this tenth series race will proceed to the Semi–Final based on overall series ranking. • Round 3 – Semi-Final: The Semi-Final, with eight boats (three from Round 1 and five from Round 2) will be sailed on Friday (if time) or else on Saturday. All boats will start on zero points. The top three across the line will proceed to the Final. The race starts on Thursday 27 April off Durban at midday. Regrettably it appears that the economy and drought have both affected entries this year as just 11 entries were received, and now just 7 boats will compete after others have withdrawn for a variety of reasons. Despite this, it’s a tough race which is going to test the crews, navigators and skippers all the way to the finish. I have always referred to the race as a navigator’s race as the choice of course coupled with the wind direction and fast flowing Agulhas current are all unknowns which need to be factored in to the choice of course. Offshore looking for the current or inshore looking for land breeze at night are simply two of the options. Get it right and you can win by a country mile. Get it wrong and it can be a long hard slog to the finish. For the last two races YB Tracking has tracked the race – bringing it directly into the homes, offices and mobile devices of those who follow ocean racing. What is so nice about these trackers is that they rarely fail, that they all update at exactly the same time, and that one has a ton of information available on each and every boat. The line honours leader’s position is clearly visible, as are those of the handicap positions in both classes. Plus, distance to the finish and the ETA of boats at the finish is all available and highly accurate. A Race Viewer app can be downloaded from the app store allowing viewing on a phone or tablet. Search the app store for ‘YB RACES’. A feature unique to this race for the past two years has been the crew breakfast on the morning of the start. 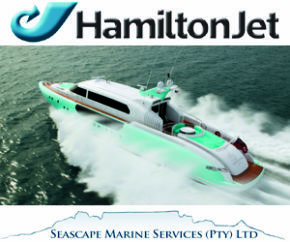 This is sponsored by MDM Marine Services who represent Raymarine in South Africa. This breakfast is sometimes the last hot meal crew will enjoy before the finish – when another hot breakfast awaits them, courtesy of Spar. This finishing breakfast has been referred to by some crew as the best meal EVER! And it is served irrespective of the time of the day or night the boat finishes – thanks to a dedicated bunch of ‘Breakfast Belles’. (Please Note that 2015 is in fact correct in this link – and you will go directly to the 2017 race page). For those in Durban at the start, the Transnet Port Authorities have opened the North Pier to the public to view the start which is between North Pier and Addington Hospital. So get your family, mates and race supporters and be there to root for your team! Due to its tough nature, the race this year is tagged as ‘The Ocean Comrades Race’. Online gaming, virtual sailing and much more is now available on the web and even on mobile devices, so why should we be surprised to see that one can sail in a virtual world championship! SailX is a high-quality multiplayer online racing simulation that enables sailors from all over the world to race against each other in real-time. It’s used by total beginners right the way through to the world’s best sailors, coaches and teams who use it to train and teach the strategies and tactics of inshore sailboat racing. While it’s no substitute for real sailing, SailX is a credible and highly competitive testing ground for the racing sailor: boat-speed and boat-handling are not worth a lot if you are sailing in the wrong direction! This Championship started on Monday 17 April and concludes five weeks later on Sunday 14 May with a Grand Final – a single regatta between the Top-30. Winner-takes-all. Entry is fully-open and free and importantly, scoring ramps up as the competition progresses, giving new players plenty of time to get up to speed. Last year’s event featured competitors from 70 countries worldwide racing 264 Official Regattas, 1,694 races and 168,672 boat starts in over 36,000 hours of racing! 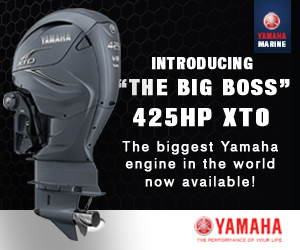 No other racing simulator comes close to SailX for quality of racing or level of activity. 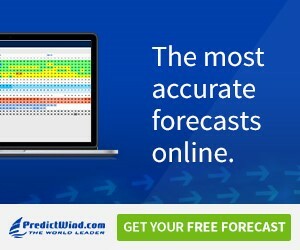 Use this valuable tool to get the jump on your real sailing rivals this season. The Premiere Sailing League USA (PSL) has found a partner to help elevate stadium style sailing to the next level of technological sophistication. MarkSetBot, located in Detroit, will provide the league with the world’s first robotic race mark, which allows a Race Committee to set up or change a race mark on a course more quickly and accurately than ever before. 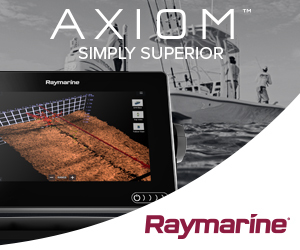 The engineering and programming that has been developed for this unique piece of equipment are synergistic with the innovative thinking being brought to PSL events to give sailors and regatta spectators an entirely new way of experiencing sailing. It will be used at the stadium sailing event planned for the Great Lakes Boating Festival at Michigan’s Grosse Pointe Yacht Club (GPYC) on May 20. The regatta will be sailed in one-design J/70s, promising “adrenalin-fuelled action” over a four-hour time-frame. Premiere Sailing League USA is the first national sailing league for America, designed to increase awareness of the sport with an innovative approach to an annual series of regattas that starts with District Qualifications in special-edition J/70s, then moves on to National Finals in special-edition J/88s that determine rankings in the PSL League. It takes just one tragedy to highlight how quickly these happen, and how if simple precautions coupled with some vigilance can possibly avoid them. A British teenager died recently after reportedly falling from the mast she was working on. It is unclear as to exactly what happened as one report said she was “cleaning the mast of the vessel when the ropes became undone and she fell onto the deck”. She was no newcomer to yachts as she had spent a decade sailing around the world with her family on their yacht. Obviously the exact details of this tragic accident will come to light in the fullness of time, yet the hazards of climbing masts cannot be over emphasised. SAILING Magazine has over time carried many articles on this very subject, yet tragedies still occur. Obviously a check of the halyards being used is a first priority. Check for fraying and other signs of age or possible damage. The very basic rule of thumb is to use TWO halyards every time one goes aloft, and to have two people controlling them whenever possible, especially when coming down as one needs to be let down as smoothly as possible – rather than in a series of jerks. There is lots to read on this subject – and this is highly recommended, especially for the newcomer to our sport. During the last race two crew lost their lives, and the official findings into these two tragedies have just been released. I was going to reproduce key elements of the official findings here, but having received Brian ‘Mugs’ Hancock’s thoughts on the matter, I have decided to share his thoughts with you. Over time I have received numerous MAIB (Marine Accident Investigation Branch) investigation reports and findings – all of which have been illuminating and educational. What I do like though is that they rarely look to apportion blame, unless of course it is very necessary. Too often people want to apportion blame and find a scapegoat which in a sport such as ours, when the incident is very often simply an accident. The Clipper Round the World Race is one of the safest global sailing events. I recently read the MAIB (Marine Accident Investigation Branch) report on their findings regarding the deaths of two sailors in the last Clipper Round the World Race. It’s always a tragedy when someone dies at sea (if that’s not stating the obvious then I don’t know what obvious is…:), but life at sea is a little like life on land; there are risks and potential dangers everywhere. I used to be of the mind that screw it, things are going to happen, sometimes people die so let’s just get on with it. I never was one for too much analysis and introspection, but I think I have changed. I think it adds a valuable element to the overall safety – read enjoyment – of our sport. The report looked into the circumstances that surrounded the death’s of Sarah Young and Andrew Ashman. Ashman died when he was hit by the mainsheet as he was stepping over the traveller. It’s believed that he died instantly of a “high impact neck injury.” Young was working the deck in rough conditions when she was hit by a wave, washed into the scuppers and then overboard by a second wave. The Clipper Race had developed their own special two-tether life jackets which are custom manufactured for each race, but two tethers or no tethers are the same when they are not used. Now I know that I have often been on my high horse about the use of tethers and life jackets when sailing offshore – I am not a fan of either – but when someone dies so unexpectedly one has to come down off the horse and recognize that had she been tethered, she may well still be alive. The MAIB report pretty much exonerated the event organizers from any kind of blame and they were right to do so. Clipper makes their crew members undergo rigorous training before they can join a boat and their safety standards for each boat and crew member are very high. Clearly a death is bad PR so they work hard to ensure that they don’t lose anyone. I think what I liked about this report was that it was not a witch hunt to place blame on someone or some entity. Instead it highlighted the fact that Clipper had done everything right, but sometimes you can’t account for human error. I did the ’79 Fastnet Race, the one where all those people died. I was on a brand new Swan 57 and we had trouble, but not like some of the other boats. It was a massive tragedy and there was a very lengthy and detailed report complied on what needed to be done to make boats safer. Two things really stood out from that report, at least that I remember. One was mandating that there be shut-off valves for gas stoves. Many boats had been knocked down or capsized and with the stove swinging around the gas lines had been yanked off leaving propane to spill into the boat. Can you imagine a time before gas shut off valves? The other thing that the report found was that on many life rafts the tethers were on the opposite side of the life raft to the entrance meaning that people had to jump into the water and swim around to the other side of the raft in order to board it. Crazy huh? An International Jury recently found that Vincenzo de Blasio’s NM 38S ‘Scugnizza’ deliberately broke RRS 2, RRS 78.1, and ORC Rating System Rule 304.3a and was thus in breach of RRS 69.1(a) and disqualified from all races of the 2016 ORC European Champs. ‘Scugnizza’s’ RRS 69 (Misconduct) issue arose due to the apparent installation of hidden water tanks under the cockpit to affect extreme stern-down trim for measurement. At the event the measurers confirmed the boat was in this trim in accordance with their certificate, but did not find the tanks. However, when sailing, the boat did not appear to be in stern-down trim, but level trim, and many photographs of the boat sailing confirmed this. ORC did numerous calculations to demonstrate the weight and volume of water needed to get to this unusual measurement trim, and how it was not possible to achieve this without some additional amount of undeclared ballast. ‘Scugnizza’ tried to claim that they could achieve level sailing trim by placing items such as anchors in the forepeak while racing, but even the weight of these items in this position was insufficient to put the boat in level trim for racing. While not admitted as evidence, there were also before and after photos taken of the interior of the boat with the tanks in place and them having been removed immediately after the European championship and prior to their next event, the Italian championship, which the boat was re-measured for, had a substantial rating increase, and competed to finish only 7th in class. It’s unfortunate this team was not caught at the event and the matter dealt with then, but the measurers could be forgiven for having missed the tanks because they were partially obscured by the wheel well under the cockpit. Any further punishment is now in the hands of the Italian Sailing Federation. • They cheated, they received the appropriate punishment – why on earth would SAS find it necessary to handle the L26 matter with kid gloves? Were they hoping it would go away! Forget all the legal or class rule issues…when you knowingly cheat to win a sailboat race…to win a piece of plastic…you are no longer a sailor. And if you participate on a boat knowing that the boat is illegal…you are no longer a sailor. 99% of sailboat racing is for fun, for competition, for bragging rights, for a piece of plastic. When you lose sight of that, you are no longer a sailor. 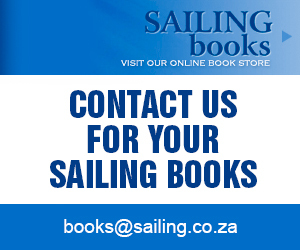 • While Part 2 of the Racing Rules of Sailing – When Boats Meet – provides the guidance for our self-policing sport, it is the tenets of Part 1 that lay the groundwork. Critical among these principles in Part 1 is Fair Sailing. NASA officially has launched a new resource to help the public search and download out-of-this-world images, videos and audio files by keyword and metadata searches from NASA.gov. The NASA Image and Video Library website consolidates imagery spread across more than 60 collections into one searchable location. Timothy Bare clung to the inside of his capsized kayak as the 43-degree F (6 deg C) water soaked through his clothing. Given the water temperature and clothes he wore, he had two hours to be rescued – or die. He was fortunate enough to have had his kayak spotted by a good Samaritan on shore who called 911. Coast Guard Petty Officer 3rd Class Perry Derrenbacher, a crew member at Coast Guard Station Portsmouth Harbor, was underway in the area at the time on a training mission aboard a 47-foot Motor Lifeboat. As the crews approached the kayak, they didn’t initially see anyone around it until they were almost on top of it, and noticed the man’s legs sticking out from under it. The Coast Guard crew was able to pull the man from the cold water onto the deck of the lifeboat. Derrenbacher and his shipmates did just that, removing his clothing with first aid shears and grabbing dry blankets to cover him. “We actually sandwiched our bodies next to him and threw the blanket over us to try and give him some of our warmth,” said Derrenbacher. This quick action worked as Bare began to moan and became more responsive. “We got to watch someone go from being almost dead to alive, and I was able to talk to him on the phone in the hospital only two hours later,” added Derrenbacher. The crew’s quick response saved Bare, who recovered from his hypothermia, but had the crew not been so close he could have become part of the growing statistic of paddlecraft related deaths. A life jacket is another essential piece of safety equipment that can save your life if you lose consciousness in the water. • France’s Guillaume Verdier to lead new design project for 14th edition, with Persico Marine selected as lead boatbuilder..
• Monohull-multihull question to be resolved in coming weeks. • New boat is part of radical shake-up of race to be announced 18 May, in Volvo’s home town of Gothenburg, Sweden. While final preparations and team announcements continue for the Volvo Ocean Race 2017-18, the event’s leadership team are working in parallel to map out the race’s future. The edition after this one, the 14th, will be contested in brand new One Design racing yachts designed by France’s Guillaume Verdier and built under the direction of the Persico boatyard in Italy, race organisers announced. Verdier has joined the Volvo Ocean Race Design Team and is currently working with the race on the crucial issue of whether the new boat will be a monohull or multihull. The final decision on the proposed designs will be announced on 18 May at an event in Gothenburg, the home of the race’s owners and title sponsors Volvo. Verdier is the ‘quiet’ achiever who has been involved in most of the leading designs right across the sport in recent years – from giant multihulls like Gitana’s Maxi ‘Edmond de Rothschild’, to be launched in July, through Team New Zealand’s current America’s Cup flying multihulls to maxi-monohulls like ‘Comanche’, and the leading Vendée Globe IMOCA 60 foiling projects such as ‘Hugo Boss’ and ‘Banque Populaire VIII’. The monohull-multihull question is just one of a series of key decisions that will be finalised in the coming weeks and announced at the 18 May event in Gothenburg. Together, the announcements will form the most radical shake-up of the Volvo Ocean Race since it began life in 1973 as the Whitbread Round the World Race. “Conceived in 2011, the current fleet of boats was built to be competitive for two editions,” said Volvo Ocean Race CEO Mark Turner. “We need to move now on the future boats to keep all our options open on boat type and design. The decision to continue with a One Design concept follows the introduction of the Volvo Ocean 65 monohull for the Volvo Ocean Race 2014-15, which produced the closest racing in the history of the event. The upcoming edition, starting on 22 October 2017 in Alicante, will use the same Volvo Ocean 65 boats that have since undergone a one million euro per boat refit process in the race’s Boatyard facility in Lisbon. These boats were designed to be fast enough and reliable enough to complete at least two laps of the planet at the highest level of professional racing, in a fully competitive and equal state. The fleet of seven existing boats from 2014-15 will be supplemented by a brand new but still identical Volvo Ocean 65, commissioned by team AkzoNobel, for the 2017-18 race. With more than six months still to go before the start, four teams have so far been announced. The remaining teams will be revealed over the coming months. The race opted to go with Verdier after inviting input from half a dozen industry-leading yacht designers, including Farr Yacht Design, the team that kick-started the One Design era in the race by delivering the successful Volvo Ocean 65 project. Verdier’s goal will be to lead the Volvo Ocean Race Design Team to build a new fleet to the same exacting levels of matched One Design achieved with the current boats, but very much connected to the big evolutions in foiling technology the world of sailing is currently seeing. “We’re bringing together a wide-ranging depth of experience from events such as the America’s Cup, offshore multihulls and IMOCA Open 60 projects,” Verdier explained. Scuttlebutt Sailing News (www.sailingscuttlebutt.com) recently ran a three part editorial on the above subject. Below is part 3 which sums up the author’s thoughts and conclusions. Links to parts 1 & 2 can be found at the end. PHRF isn’t suffering because of PHRF. PHRF suffers when its use misses the target. Bruce Bingman, chair of the US PHRF committee, provides some thoughts on improving participation. Classes: If at all possible, classes should be set up racing like boats against each other and separating the ‘performance cruisers’ from the ‘pro’ racing programmes. You wouldn’t race your Minivan against a NASCAR Sprint Car, so why would you race a Beneteau Oceanis 473 with older dacron roller furler sails against a J-109 or a FARR 280 with a new set of carbon string sails? The old line of thinking was to have tight class splits, even if it meant putting dissimilar boats together, but experience at both Key West and Block Island Race weeks has shown it is better to race like boats with wider splits than dissimilar boats with narrow splits. Courses: Our survey results tell us the serious racers want multiple drop mark W-L courses but the vast majority of recreational sailors want a single Government mark course. Here’s a thought – send everyone to the same (drop) weather mark and then send the cruising classes on a tour of the buoys while letting the racing classes do windward-leeward courses. This has proven to be a very successful compromise at Block Island Race Week with growing classes in both segments. Time: We are much busier than when our parents grew up. Frequently the only sporting activity on the weekend was going out for the day races on the boat. Today we have everything from swim meets to lacrosse games competing for the kid’s time, and house and garden for the parent’s time. Doesn’t it make sense to have a later start and maybe only one day of racing on the weekend? Certainly the short race format of weeknight racing has shown almost the only growth in participation. In the case of ‘venue’ races, for many of the competitors, this is their vacation. While the “pros” will want to race three or four drop mark races from 10 AM to 5 PM and then debrief, many (most?) of the competitors would prefer fewer races, getting off the water to do some sightseeing and going to the after party for camaraderie and libations. Pursuit Starts: Another way to get the reluctant racer out is to have some pursuit starts on fixed Government mark courses. This has the double advantage of making the starts much less frightening and starting the slower boats first so they get the advantage of sailing in clear air, at least for a while. It also forces the faster boats, which typically turn out to be the more prepped racer types, to pick and weave through the fleet in dirty air, so takes away some of their prep/racer advantage. The order of finishers is the placing order so everyone knows where they stand like in a One-Design race. In fact this seems to work well and these are frequently the most popular races of the year as seen in San Diego and the Chesapeake. Conclusion: Clearly the best racing comes when boats of similar sailing characteristics are racing each other. It is nearly impossible to fairly rate light displacement boats against heavy displacement boats and these should be separated into different classes if at all possible. Likewise, it is very difficult to fairly rate boats once speed differentials become more than a minute a mile, even if their sailing characteristics are identical. Use of a one (or 2) number system like PHRF makes this sort of class arrangement even more important. While this is not strictly sailing it is interesting none-the-less as the discovery of sea routes between continents – and especially the East, was big business in days of yore. Back then specifically, and even now, sea passages could have taken several weeks. But now a goods train can traverse between China and the UK. The first ever UK to China freight train departed on Monday 10 April from DP World London Gateway’s state-of-the-art rail terminal laden with containers full of UK goods. DP World said the service formed part of China’s ‘One Belt, One Road’ programme, reviving the ancient Silk Road trading routes to the West. The train will make the 12,000km journey in around 17 days from the east London port to Yiwu in Zhejiang province in eastern China. After passing through the channel tunnel into France and Belgium, the DB Cargo locomotive will call in Duisburg, Germany before InterRail pulls the cargo through Poland, Belarus, Russia and Kazakhstan before the train crosses to Yiwu, China. Should Sailboat Racing be Segregated? There is a lot of chatter around the world as to whether, at the highest levels, yacht racing should remain separate with men and women NOT competing equally. The Olympics is almost exclusively segregated, with the exception of the Multihull (Nacra 17) where mixed crew are permitted. These days it is common to see mixed crew on virtually every type dinghy and keelboat, yet the Olympics seems hellbent on segregating the sexes. Why? I see absolutely nothing wrong with men and women sailing together in the Olympics – as after-all they are permitted to do so in non-Olympic classes. MaxComm and Mirabaud have announced the launch of a new global event aimed at celebrating the authors of the very best yacht racing videos produced each year around the world – and compliments the Mirabaud Sailing pic of the year award. Open to professional TV, film and video producers, cameramen, editors and filmmakers, the ‘Mirabaud Sailing Video Award’ will also celebrate the professional sailors who film their achievements during regattas. The main prize – the Mirabaud Sailing Video Award – will be determined by an international jury. The Prize of the Public will be awarded following votes from the public on Internet. The Special Jury Award will celebrate the sailors who produce the best on-board videos during races. April 14, 2017, marked exactly 105 years since the infamous ‘RMS Titanic’ struck an iceberg and sank during its maiden voyage across the North Atlantic, killing more than 1,500 passengers and crew. To this day the sinking of the Titanic continues to be one of the most famous shipwreck disasters in history, thanks in part to its lasting impact on the maritime industry with the creation of SOLAS and, more likely, the 1997 blockbuster Titanic. A perfect example of this fascination with the historic event is why the video reached YouTube’s most popular list and has since racked up more than 18 million views since it was uploaded one year ago. I am looking for my father, Swedish citizen Hans Christian Heinrich Frohlich born in 1932. And his boat, a Spanish sailing vessel by the name ISABELITA BETANCOR. EA4872. 583/. 5ª Ant. It was built in Las Palmas in 1948. It was 18 metre long and rigged as a ketch. The last track I have of him is that he sailed from the Canary Islands via Cape Verde to Recife in Brazil. He arrived in Recife in 1971. After that, they planned to sail from South America to South Africa. Are there any notes in your archives about him or the boat? Are there special registers for found wrecked boats in your country? Even if your marina are younger than 1971 so can you help me by spreading my question among boaters. Can you give me any advice how I can find out more about this? I am extremely grateful if you can help me further in my search. I doubt my father is still alive. But whether he is dead or alive, I want to know what happened to the boat and its crew.. There are those of us who always get a kick from looking at pics and reading about old ships – so this book is one of those which can be picked up at any time and any one of a host of old vessels can be enjoyed. Nelson’s ‘Victory’, the ship and the battle are covered here, as it should be, with good pictures, words and a lengthy description of the Battle of Trafalgar and subsequently her restoration are masterfully covered in several sections to make it easy to pick an era. Over 50 vessels are covered with a fascinating history of each in terms of design, construction, active service, restoration and continuing preservation all alongside a stunning collection of artworks and pictures. Naval Vessels, Merchant Sailing Vessels, Coastal sailing Vessels, steamers and harbour craft plus naval vessels are here to delight readers. A special appendix lists a further 50 vessels (over 60-feet or more). Plus there is a list of web links for up-to-date information on the vessels – and detail on where these vessels are on display. No book of this nature would be complete without mention of ‘Britannia’, the last Royal Yacht. Coverage is extensive – and for those interested she is on public display at Leith’s Ocean Terminal in Edinburgh. In my day, we couldn’t afford shoes, so we went barefoot. In winter, we had to wrap our feet with barbed wire for traction. In my day, we didn’t have MTV or in-line skates, or any of that stuff. No, it was 45s and regular old metal-wheeled roller skates, and the 45s always skipped, so to get them to play right you’d weigh the needle down with something like quarters, which we never had because our allowances were way too small, so we’d use our skate keys instead and end up forgetting they were taped to the record player arm so that we couldn’t adjust our skates, which didn’t really matter because those crummy metal wheels would kill you if you hit a pebble anyway, and in those days roads had real pebbles on them, not like today. In my day, we didn’t have rocks. We had to go down to the creek and wash our clothes by beating them with our heads. In my day, we didn’t have fancy health-food restaurants. Every day we ate lots of easily recognizable animal parts, along with potatoes. In my day, we didn’t have hand-held calculators. We had to do addition on our fingers. To subtract, we had to have some fingers amputated. In my day, we didn’t get that disembodied, slightly ticked-off voice saying ‘Doors closing.’ We got on the train, the doors closed, and if your hand was sticking out, it scraped along the tunnel all the way to the next station and it was a bloody stump at the end. But the base fare was only a dollar. In my day, we didn’t have water. We had to smash together our own hydrogen and oxygen atoms. Kids today think the world revolves around them. In my day, the sun revolved around the world, and the world was perched on the back of a giant tortoise. Back in my day, ’60 Minutes’ wasn’t just a bunch of gray-haired, liberal 80-year-old guys. It was a bunch of gray-haired, liberal 60-year-old guys. In my day, we didn’t have virtual reality. If a one-eyed razorback barbarian warrior was chasing you with an ax, you just had to hope you could outrun him. Back in my day, they hadn’t invented electricity. We had to watch television by candlelight. Errorist: Someone who repeatedly makes mistakes, or is always wrong. Mmm – I know a few errorists! Pity though that they are involved in our sport! All reader responses in this issue are pertinent to content above, and used in the appropriate places.